Please email Frances M at francesangelstakeflight@gmail.com or call 413.426.8801 with any questions. 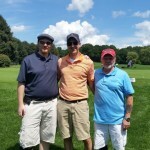 2nd Charity Golf Tournament in Connecticut! Another huge thank you to Frances Maiscalco and Willow Brook Golf Course in South Windsor, CT for hosting a second golf fundraiser for our foundation on August 5, 2018! The turnout was better than last year’s event! We are once again very thankful to the staff for their support and accommodations and to the sponsors that provided the wonderful raffles. A big thank you to all of those that came out to support this event! Funds raised from this tournament supported the foundation’s scholarship program. 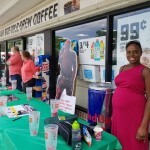 7 Eleven Fundraiser in Massachusetts! We would like to give a big thank you to the staff at 7 Eleven on Springfield St in Springfield, MA for their constant support of our foundation! 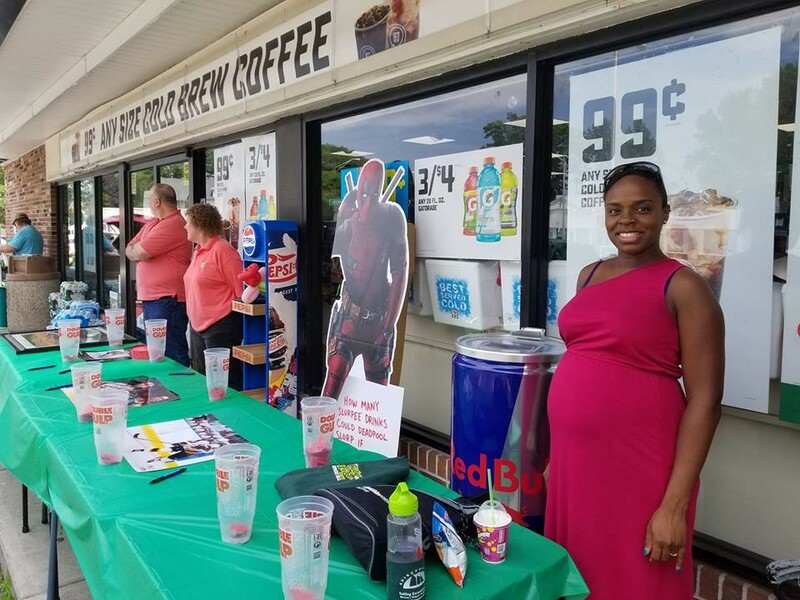 On June 30, 2018 they held a customer appreciation day which included raffle prizes, free food and drink items, and a balloon artist. Congratulations to all the winners of the raffles! The money they raised from the raffles went to purchase luggage and other transitional items for children who have to move from home to home. 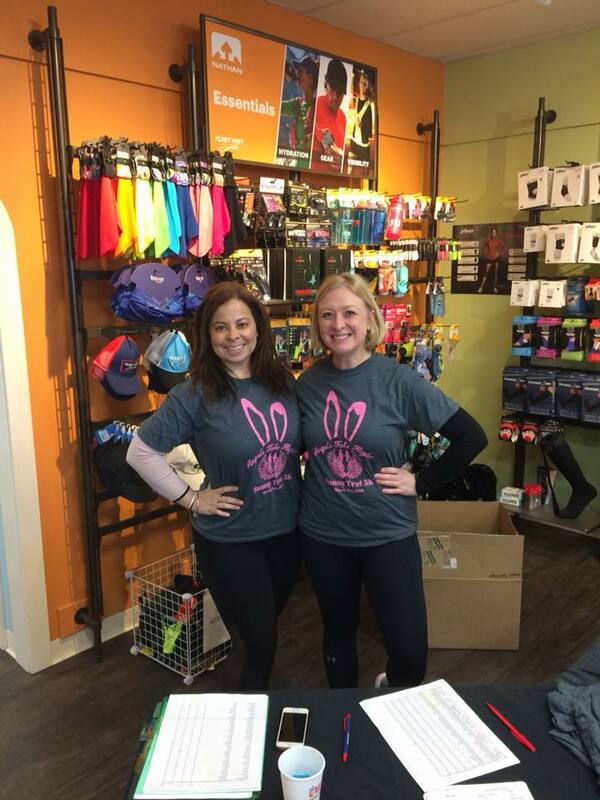 Spring 2018 5K Fundraiser in Massachusetts! On March 31, 2018 Angels Take Flight held our 6th annual 5K. 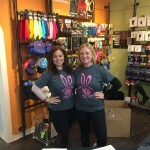 Since it was Easter weekend, the event was themed the “Bunny Trot.” We had a great turn out and surprisingly warm weather for this time of year in New England! Thanks to all of our participants for their support, Fleet Feet for once again working with us for the registrations, course, etc. and for donations of snacks and coffee from local businesses. We also wanted to thank our local non-profit friends at Autism Speaks for helping volunteer at our event. We cannot wait to see everyone next year! The funds from this event went to purchase luggage and other transitional items for children who have to move from home to home. 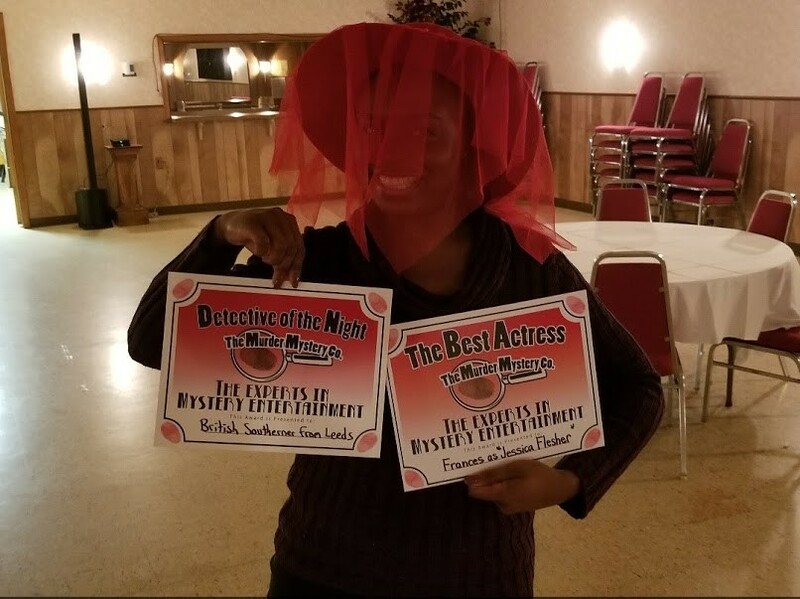 We are so thankful to Masonic Lodge in East Longmeadow, MA for hosting our Fall Murder Mystery event on November 24, 2017! 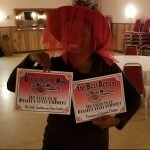 We are thankful to the staff of The Murder Mystery Co. for helping us have a great event filled with lots of laughter. We had a great time figuring out who the murderer was. 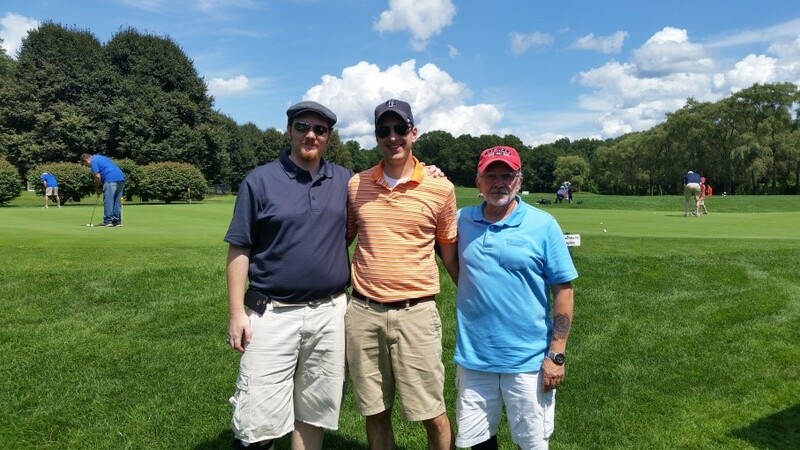 Charity Golf Tournament in Connecticut! We’d like to give a huge thanks to Frances Maiscalco and Willow Brook Golf Course in South Windsor, CT for holding the first ever golf tournament benefiting our foundation on August 19, 2017! We are so thankful to the excellent staff for being accommodating and supportive of Angels. We would also like to thank all who attended the event. 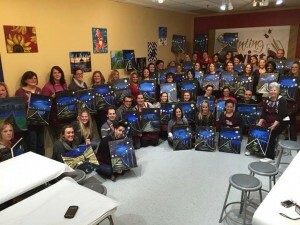 We were once again incredibly thankful to Palette 22 in Arlington, Virginai! 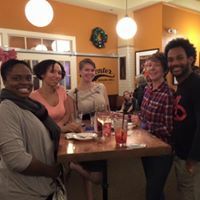 This is one of the top rated restaurants in Northern Virginia, and in the Spring of 2017, they allowed us to host an extended Happy Hour to benefit local children. Palette 22 is one of the top rated restaurants in Northern Virginia. We are so thankful for their continued support! This event was well attended, and all donations went directly to the children of our community of Virginia who are experiencing turbulent transitions and require luggage for their belongings. Spring 2017 5K Fundraiser in Massachusetts! In the Spring of 2017, we gathered for our 6th Annual 5K in Massachusetts! We have had so many beautiful memories at our past 5K’s. Here are the “smarts and hearts” of our 5K races! 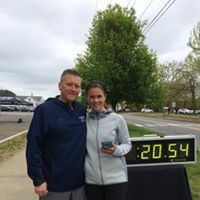 Tim and Jill of Fleet Feet Sports in Longmeadow! We are so thankful to them and their whole crew!!! 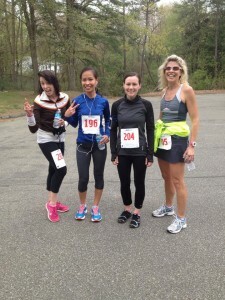 Once again, we kicked the race off at Fleet Feet Sports in Longmeadow, Massachusetts. We are so thankful to them! Our participants were thrilled last year with the kindness of their employees, use of their restrooms, and hospitality shown! We cannot WAIT to do it again in 2018! Fall 2016 Cocktail Party in Massachusetts! We are proud to be a continued and trusted resource within the community. We held our Cocktail Party fundraiser at Center Square Grill on Saturday, November 26th, 2016. 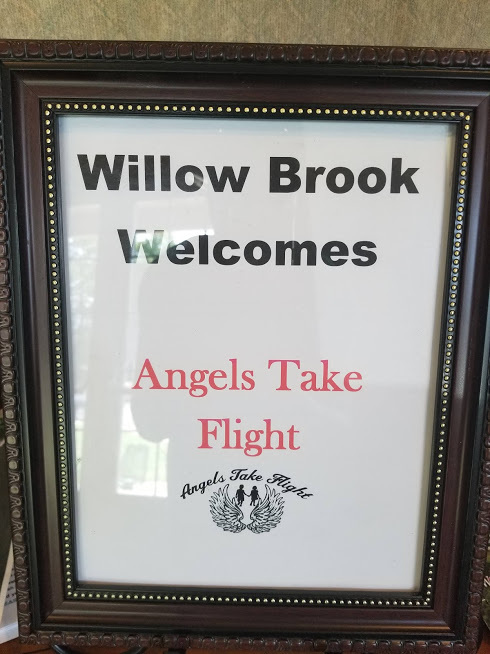 This event was a wonderful opportunity for everyone to gather, meet with other supporters of Angels Take Flight, and talk with agency representatives who assist us in distributing our donations. We were thrilled with our Fall 2015 Fundraiser! 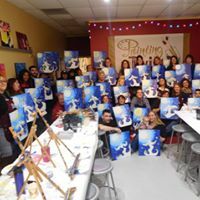 It was held at Painting With A Twist in East Longmeadow on Sunday, November 29th. May 9, 2015 – Thank you to everyone who came out and supported us the morning of our 4th Annual 5K on May 9, 2015! It was a huge success! We are so thankful for all of your support. A special thank you to 7-Eleven for supplying our refreshments and snacks once again. A big thank you to our Winged Warrior Volunteers – Danielle, Glenn, Naomi, and Cameron. We appreciate you! We hope everyone enjoys the photos we posted earlier. Please tag yourself and share your own! President Tamara Blake and Board Member Melinda Moreno at our Six Flags New England Fundraiser. We love what they did for Angels Take Flight! 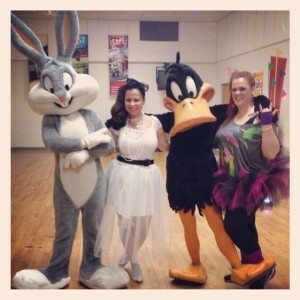 On Saturday, January 24, 2015, we enjoyed a Zumba fundraiser. Led by Jennifer McGrath, Communications Manager and Zumba enthusiastic at Six Flags New England, we all danced, laughed, and raised money for a good cause – 80’s Style! We are so thankful to Walgreens (Sixteen Acres Location) for providing donated snacks, beverages, and swag to al of our participants! We are also appreciative of the guest Zumba instructors, and of course the participants! We are so thankful to everyone who came out to support Angels Take Flight! FALL 2014 FUNDRAISER FOR ANGELS TAKE FLIGHT! June 3, 2014 – We would like to take a moment to thank everyone who made our first scholarship breakfast huge success on June 3, 2014. Thank you to Pastor Nathaniel Anderson From Christ the King Lutheran Church in Wilbarham for delivering a beautiful morning blessing. It was truly a moving moment. Thank you to all of our volunteers who helped us before during and after the event. Carolyn Roberts, Marc Garutti, Kellly Zieba, and Judith Crowell were immensely helpful. A very special thank you to New York and Buffy Mayo for sponsoring a portion of the breakfast. A very special thank you to Buffy Mayo for speaking at the breakfast. Denise Hurst moved everyone while presenting a citation from the Springfield school committee to Tamara Blake and Angels Take Flight. Her long time support is appreciated! The talented Jennifer Garutti was present at our breakfast to take photographs that once again beautifully capture our mission. She is incredible! What a lot of people don’t realize is that for the past seven months, we have had some very hard-working table Angels inviting people to our breakfast. We literally would not have had a breakfast without them. They were instrumental throughout this whole process and we are in deep appreciation of them. They are: Denise Hurst, Danielle Williams, Sandy Amatruda, Gandara (Suzanne Bowles, Korie Mix, Kim Majewski), Phyllis Williams-Thompson, Kelly Zieba, Liz Walz, and Zaida Govan. As always, A special thank you to board members Melinda Moreno, Hayes Murray, and Cyndi Rebelo for all that they do. 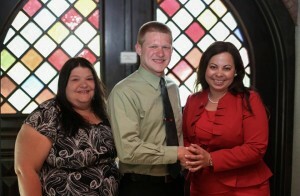 Thank you so much to our scholarship winner, Nathan Schreffler, and his proud mom, Cindy for attending the breakfast. Last but not least, thank you to each and every one of you who attended. You made a huge difference. 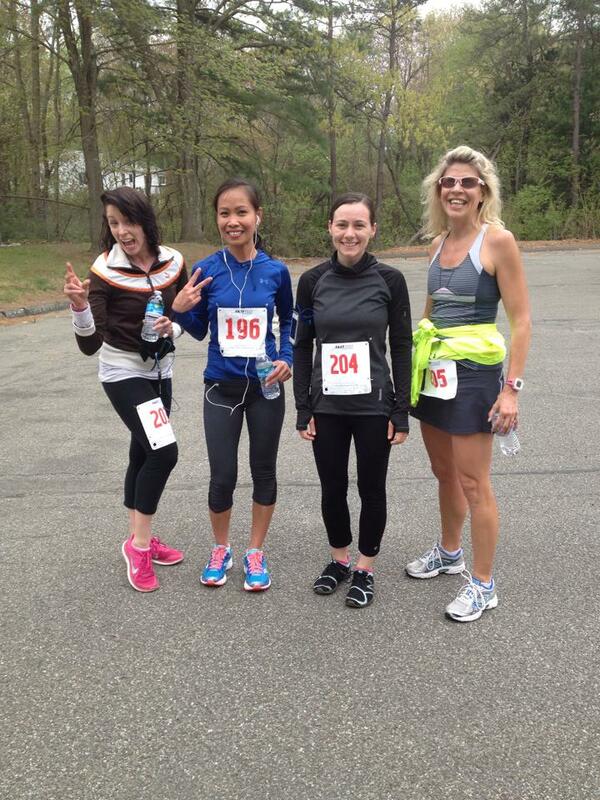 April 27, 2014 – Congratulations to our 5K winners! First place – Christian Rivera. Second Place – Ryan Courtemanche. Third Place – Jessie Barbee. First place Female – Brigida Palatino. CONGRATULATIONS to our top runners, and congratulations to everyone who ran! You all did a fantastic job! Thank you to all of our volunteers, and to 7-Eleven for once again providing donated refreshments for our participants! Thank you to the Red Sox, Salon Karma in East Longmeadow, Big Y, and Century Fitness in East Longmeadow for providing our prizes for the event! 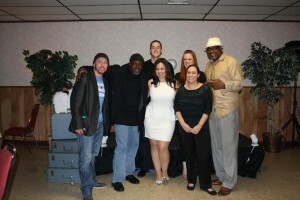 Thank you SO much for making our 2nd annual comedy event a success! We are in appreciation of so many people who made the event possible! To the Board of Angels Take Flight – Melinda, Cyndi, and Hayes who are instrumental in our organization and all of our events. To the volunteers for the night – Kristi, Lori, Kara, and Glenn. They helped us before, during, and after the event! To the Masonic Lodge of East Longmeadow – for a second year in a row, the gentlemen here allowed us to use their space, and more than that – they are huge supporters of Angels Take Flight and have welcomed us with very open arms! To DJ Karl Hosnander – because of him, we had fantastic music, lighting, and laughs as well! To Pam McGrath – she made all of our stunning cupcakes!!!! They were so delicious and even featured chocolate angel wings on top of them! (Many people were happy to take cupcakes home). To Nino’s Pizzeria – it is not an easy feat to feed close to 100 people, but they did it! The Izzo family is incredible and made multiple delicious past choices for our guests along with bread and salad! Thanks to Andre for creating a gorgeous flower arrangement for everyone to see when they walked in! To everyone who helped us with promoting the event – Jess Miller for assisting us to build our new website, ROCK 102 and Mass Appeal for allowing us on their shows to promote the event, and everyone who ever posted on facebook or other social media, invited a friend, or brought a friend! Thanks to The Reminder publications and Chris Maza for once again writing a beautiful piece about the event! And to Katie Stebbins of BYOFAmily for writing a lovely piece about the event as well! 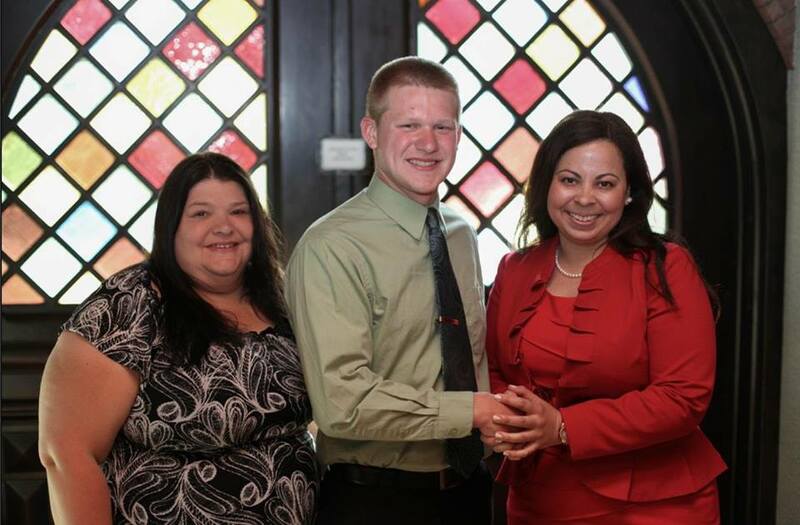 Thank you to the Latina Republican who covered the event! A huge thank you to the comedians! Without them, the show would literally not have been possible! Darryl Rosemond, Marcellino Hill, and Darren Rivera brought the house DOWN! And not to mention our surprise guest comedian Artie Rob! Last, but certainly not least, thank YOU for coming out! We are in appreciation of your continuous support of Angels Take Flight! By showing up and having fun, YOU helped give more children of our community wings! Congressman Richard Neil supports Angels Take Flight! On Sunday, October 27th, 2013, The Skin She’s In fashion show occurred! 50% of the proceeds from the show went directly to Angels Take Flight! This fashion show has been going on for 7 years and features models from very diverse backgrounds, shapes, and sizes! The goal of the fashion show is to honor all women and provide restored dignity and pride in oneself. We thought it was awesome children walked as models, also! May 4, 2013 – Our friends at 7-Eleven held a grand re-opening! At this grand re-opening, there were raffles, fun, and food! All of the proceeds from the raffle went directly to Angels Take Flight! We are so appreciative of 7-Eleven, especially the Springfield 7-Eleven!!! 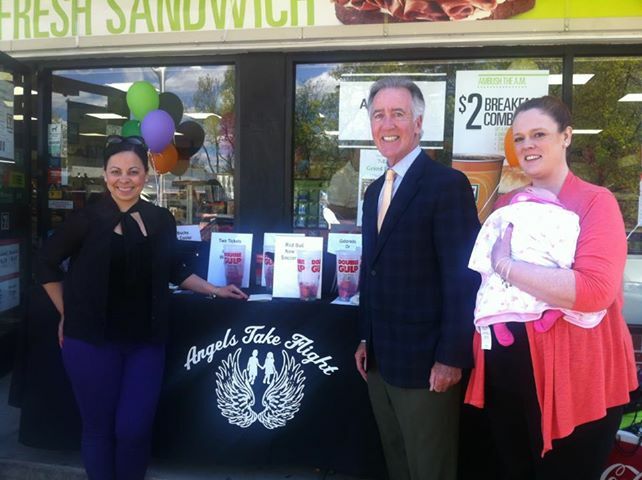 Even Congressman Richard Neil supported Angels Take Flight! He stopped by the 7-Eleven to show support and to participate in the raffle! Thank you to everyone who came out for our Second Annual 5K! 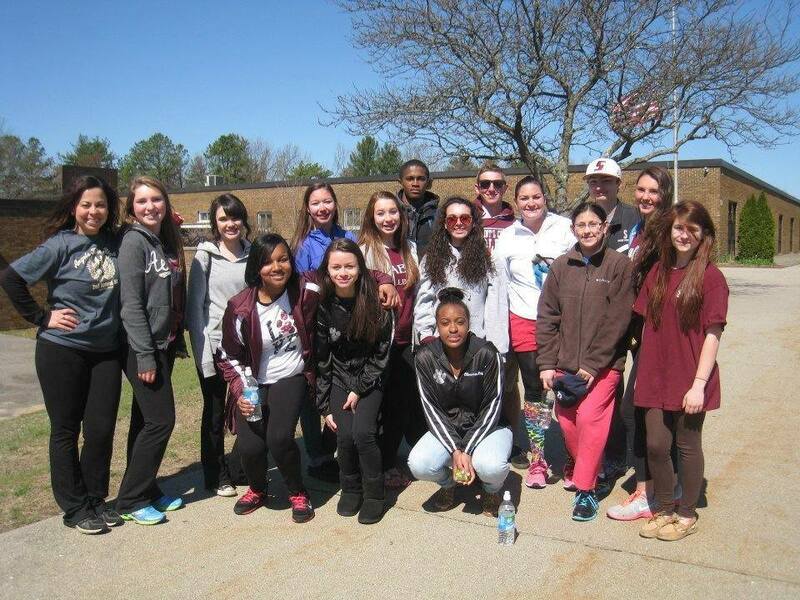 Thank you to our many volunteers including students from Sabis School (pictured here) as well as a local boy scout troop. 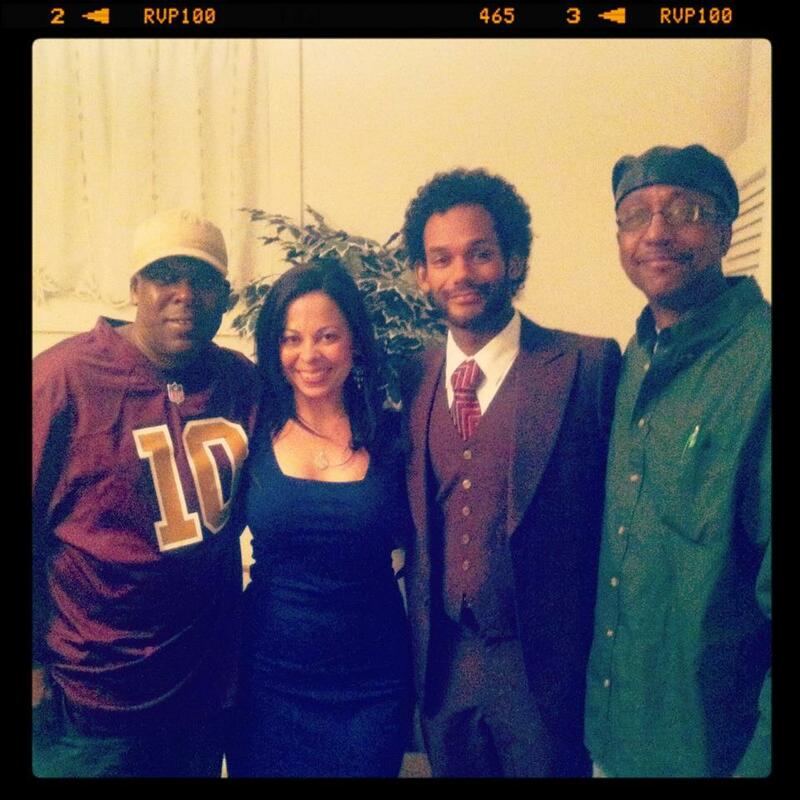 Tamara Blake with our three comedians – Darryl Rosemond, Bill Posley, and Marcellino Hill! Angels Take Flight Would like to thank everyone who made the Angels Take Flight comedy showcase a huge success!!! First and foremost, to the comedians Bill Posley, Darryl Rosemond, and Marcellino Hill! You were all WONDERFUL and truly MADE the night! A big THANK YOU to the volunteers for the event, and for the night. So many of you helped clean up after and set up before the show. 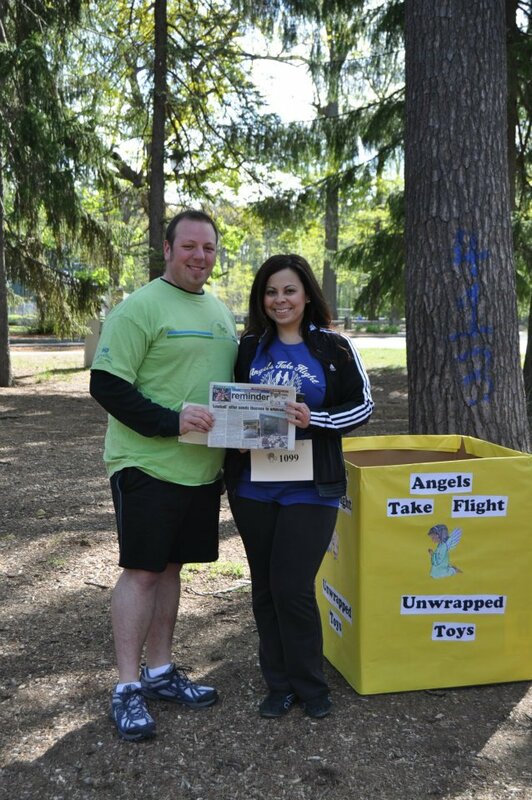 A big thanks to Lori McEachern and Melinda McGrath Moreno who are volunteers of Angels Take Flight. THANK YOU to all the guests – the night literally would not have been made possible without you!!! Thank you for your continued faith in Angels Take Flight! The DELICIOUS food was provided by Nino’s on 674 Dickinson Avenue – they are truly incredible! Of course, thank you to the Masonic Lodge in East Longmeadow for hosting the event and our friend Richard Regnier who brought us this wonderful connection. Thank you to DJ Robert Rell for providing us music! 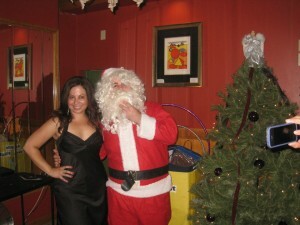 Also a big shout out to Michaels Party Rental in Ludlow who helped out with staging! Again, THANK YOU for coming out! We appreciate each and EVERY ONE of you who attended this spectacular event. 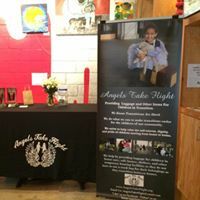 Angels Take Flight would like to say THANK YOU to everyone in the community who came out on July 31st, 2012 for our Christmas in July Toy Drive. All of the positive energy in the room for the children of the community was so appreciated. The children will greatly benefit from YOUR generosity. Keep a lookout on our website for an application which will be posted in the fall to receive some toys for the holiday season for you or someone you know who could benefit from them. We would like to thank all of the local businesses who helped make our event a success with their donations: Starbucks of Granby, Ct., and Lorraine Blake who donated beautiful gift baskets; Leone’s Restaurant, La Fiorentina Bakery, Tony’s Pizza, Six Flags New England, Executive Press, Inc. and Salon Karma who donated generous gift certificates. Also, we would like to thank the hard working people in the community who helped make this happen including Melinda Melinda McGrath Moreno and Vinny Bortolussi for fundraising efforts. In addition, thank you to the Department of Children and Families and the Reminder Publications (Chris Maza) for assisting us in advertising for the event. A special thank you goes out our friends at WWLP for featuring a segment on Mass Appeal about the event as well! The coverage received was immensely appreciated. Lastly, we want to thank YOU, our wonderful community, who came out in support of the children. We had representatives from DCF, local police departments, the YWCA of Greater Springfield, other local foster care and community mental health agencies. Also present were an abundance of caring community members. All of the funds raised will go toward purchasing luggage for children in transitions. The Angels Take Flight first annual 5K was a huge success! Thank YOU so much for coming out and supporting us support the children of the community! This means the world to us. =). Special thanks to all of the volunteers from Sabis school orchestrated beautifully by Chelsea Rodrigues. 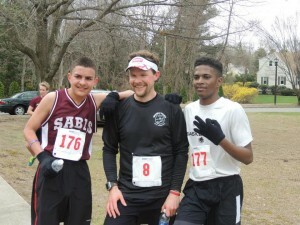 They volunteered before, during, and after the race! Thank you to Mr. Bryan McGrath and his volunteers from 7-11 for supplying refreshments and healthy snacks! Thank you to Elements massage in East Longmeadow and Stop & Shop of Springfield for donating the prizes! For everyone who ran, walked, and donated, THANK YOU for helping to give the children of our community wings!